1. HSN.com will have some scrapbooking shows on starting either tonight or tomorrow, depending upon your time zone. I’m in PST and the first show is 09-01-14 at 11pm. HERE is the program guide. 2. 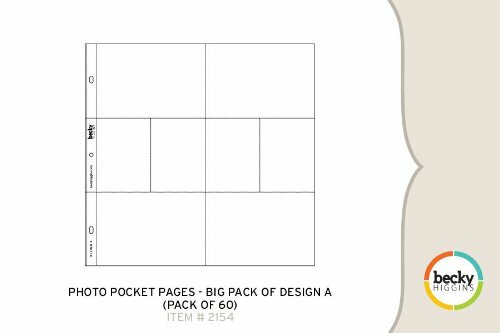 If you like to stock up on the Big Pack of Design A (60 Pages) for Project Life or pocket page scrapping, there is a killer deal on them right now. I last paid $30 for these but as of now they’re only $8.36 and free shipping with Prime. Hurry, Amazon changes their prices with no notice! 3. A last reminder to check out the Labor Day Weekend scrapbook shopping deals I posted HERE. There’s still time to shop! Thanks for the reminders. Actually, they weren’t reminders for me as I didn’t know about them. LOL! Thanks! Patter Cross recently posted…It’s Sketch Time!